After pulling everything from the box and getting it all laid out we wanted to focus on the headset to find out how the HS-1000W head set looks on paper and how well it fits. The first thing I noticed about the headset is that it folds down relatively small. It is not as small as a pair of ear buds, but for a reall set of headphones with a full boom microphone they do get pretty small. 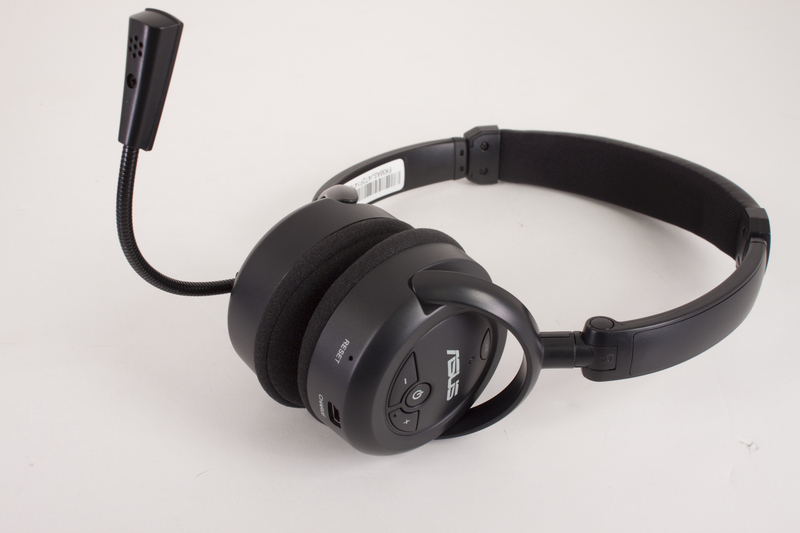 The headset is constructed predominantly of lightweight plastic (the whole headset only weighs 122 grams). There is a flat metal band that makes up the top of the head piece and allows for size adjustment. 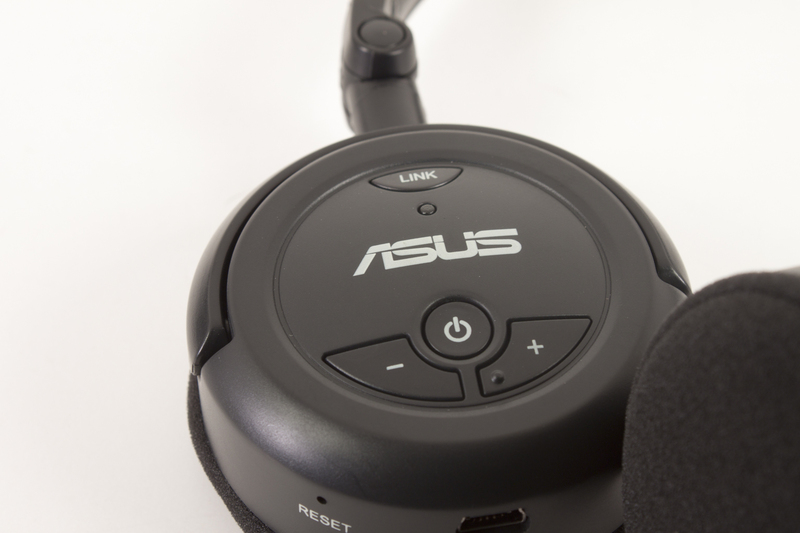 For comfort Asus has put a pad at the crown of the headset. This is capped on either end to prevent slipping. This pad at the top is also angled slightly for comfort and to ensure that the headphones are on properly. Moving from the crown of the headset to the ear pieces we have a lot to talk about. On the left earpiece is the boom microphone. This is supposed to be a high gain mic, but we could not find out any specs on it. In the properties of it we found some additional information it looks like both the output and input devices are from Avnera. Unless we are missing our guess the Micrpohone is using one of the VoiceMagic ASoC systems while the ear pieces are Avnera AudioMagic. In fact looking over the products page it looks like the entire product is an Avnera design. 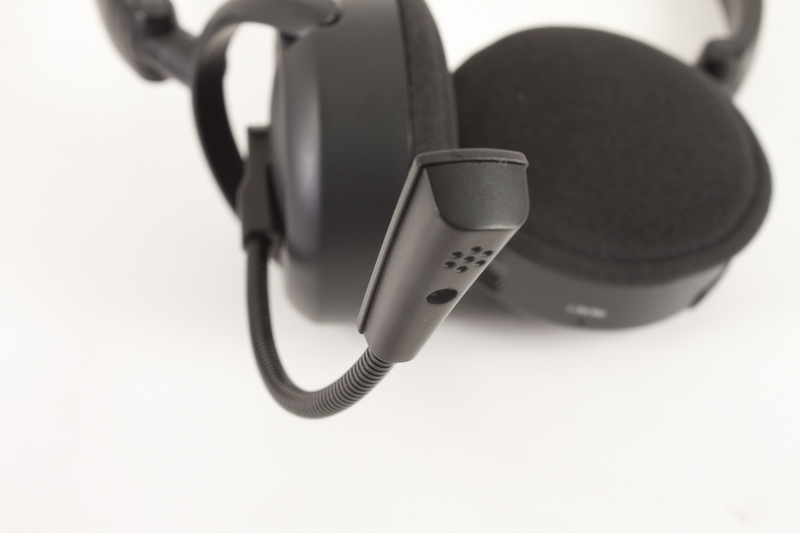 The Boom is capable of rotating 270 degrees and is made out of flexible material to allow you to bend it for the optimal position for voice quality. Since we have already talked very briefly about the output portion of the HS-1000W let’s get into some additional detail. Each earpiece has a 40mm driver that has an astonishing 20Hz to 20KHz frequency response range. Now the range is not what is astonishing. This range is not uncommon and is what you would expect from a good set of headphones. What is impressive is that you are getting that over a 2.4GHz wireless connection. Again from what we are hearing about the AudioMagic technology from Avnera this is their niche. The T.H.D. (Total Harmonic Distortion) is around 0.08% again very impressive for a wireless device. All of the controls for the HS-1000W are located on the right ear piece. You have a link button (this lets you answer a Skype or other VoIP call) a power button and volume adjustment buttons (up and down). At the bottom of the earpiece we find the charging port and a reset button that is carefully hidden inside a pin hole. As the HS-1000W is wireless there has to be a battery to charge and to run the device. The one inside the HS-1000W is a Lithium Ion battery that is capable of up to 8 hours of usage and up to 3 months on stand-by; at least that is what is on paper. We will have to see how that turns out in the real world later on. You charge this with the included USB cable (charging takes about 2.5 hours) you can also charge the HS-1000W headset while using it. Although the headset is nice it is nothing without the USB Dongle. This is a literal truth; the dongle contains the USB audio hardware from Avnera. 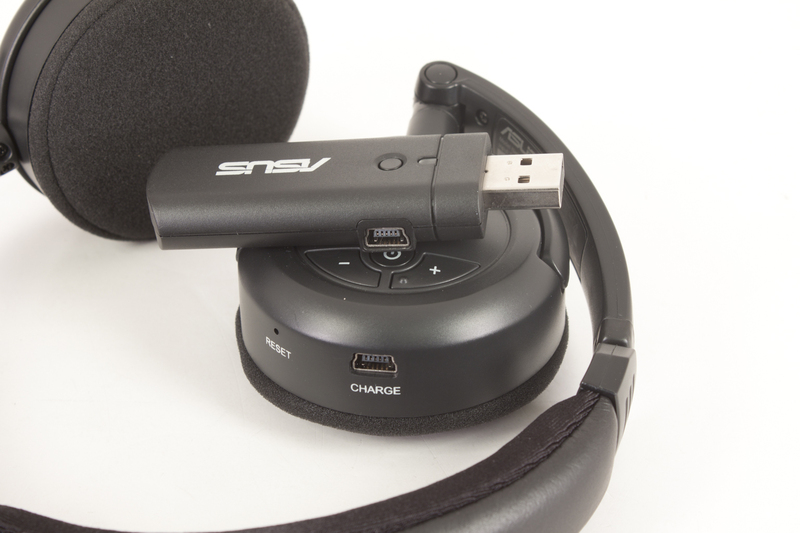 These parts take control of audio processing as soon as they are connected to the PC (Windows will install the drivers in around 2 seconds) from there the audio output switches over to the Avnera device and the headphones begin to act as the output device for over a preset connection between the dongle and the headset. Now while this link is preset between the two devices you still need to link then at least once to get things going. Just push the button on the dongle and then the power button on the headset and you are good. The range max listed range between the two is about 50-65 feet (15-20 meters), again we will see how this holds up under real usage a little later. Overall I am impressed with the build quality and how easy the HS-1000W is to setup and use. 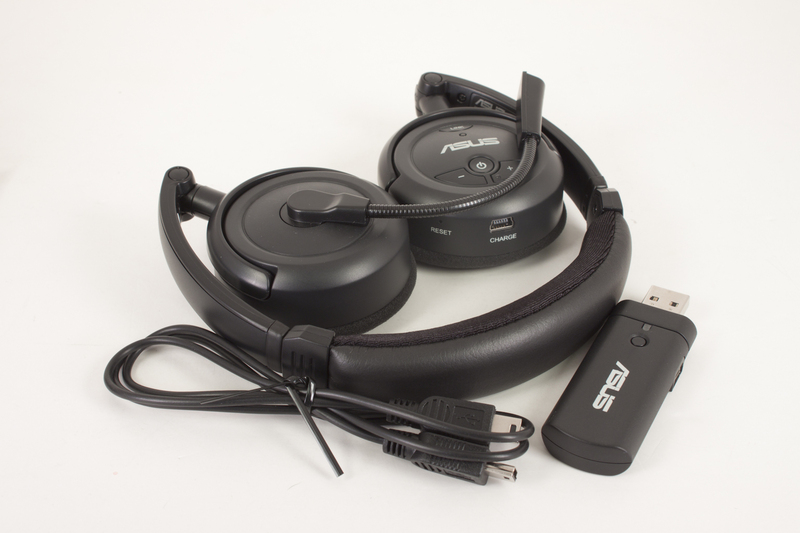 It really is as simple as Asus listed on the box; plug it in and go.